Thunderstorms usually make their visit during spring and summer months, especially in the afternoon or evening. Lightning, thunder, rain, and wind gust are the building blocks of a thunderstorm. The booming sound of thunder is caused by rapid expansion of air as a lightning bolt pass through it. Since the air surrounding the bolt is expanded rapidly too, you get to hear grumbles and growls. Despite the apparently threatening nature of thunderstorms, some people find the sound of thunderstorms to be quite relaxing. They love deciphering each grumble as it travels through the atmosphere. They love the waves of rain pitter-pattering on the roof and windows. They also love when the lightning illuminates the evening sky. These people can spend hours sitting next to the window, immersed in the experience. Is it weird to enjoy thunderstorms? No, not at all. In fact, there’s a word for it: chrysalism. It is defined as the amniotic tranquility of being indoors during a thunderstorm. A thunderstorm is dangerous, that’s a fact, but most people who enjoy it are watching from the comfort of their homes. The chaos that the storm brings enhances the sense of security that their homes provide. Because there are people out there who love to watch thunderstorms outdoors. Some do it in tents while camping in a forest, while others just let their body soak in the pouring rain. They’re savoring the sensation of rain on their skin and the surreal feeling of the mist hitting their face. It’s just how they roll. 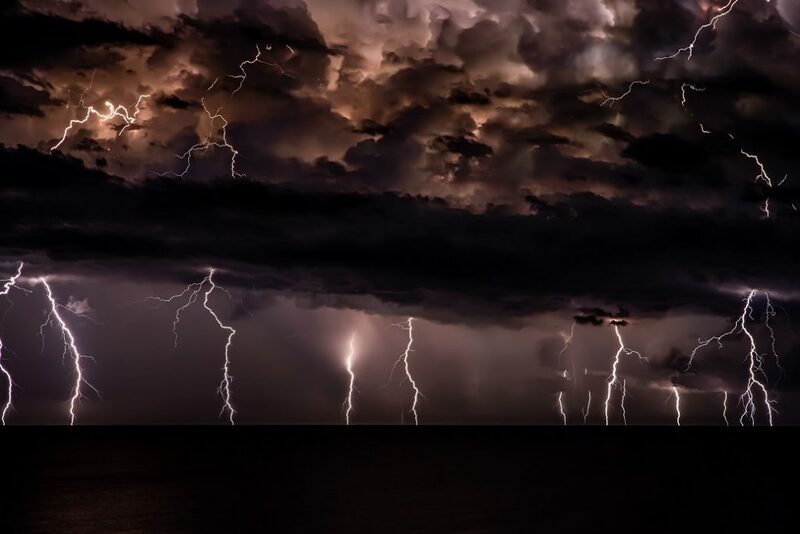 If you happen to enjoy thunderstorm but it isn’t the time of the year for them to make a stage, just browse this collection of thunderstorm ambient sounds. Mix your own if you find them not to your liking. Adding your own effects is easy and making your picture-perfect storm is downright possible. Of course, the sound of thunderstorms is not for everybody. Many people find the sound of storm makes them immensely alert. They fear and respect it, as they understand the degree of damage it can cause. People with PTSD also won’t find the sounds comforting in any way. If you dislike storms, you should just go with these rainy days ambient sounds instead. How Do Deaf People Learn About Music? How Sound Effects Are Made 7 Tips For Improving Your Home Sound System Dinosaurs – What Did They Sound Like?